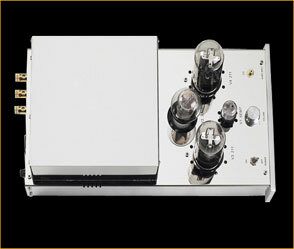 The Dragons are a 211 DHT push-pull amplifier. Everything is hard wired with no circuit boards anywhere. All wiring uses in-house Coincident Extreme cables and with incredibly short signal path as most components are soldered lead-to-lead. (This is why the input, unbalanced, is located up at the front of the amp instead of the back). 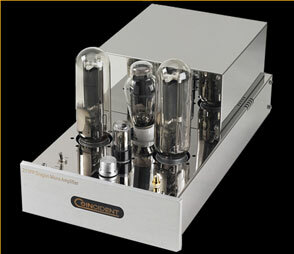 Each amplifier uses two power transformers, all class A (the 6EM7 input tube requires its own power supply, thus the second power transformer at the input stage). The mighty 300B driver tube is used to maintain complete DHT circuitry. There is an auto bias for the tubes so you don’t have to fuss. The chasis is built from high gauge stainless steel (for it’s exceptional rigidity and non-resonant properties) with a mirror finish. The Coincident Dragons are a plug-and-play assault on the state-of-the-art in audio amplification. "Thank you again for the opportunity to listen to such transformative amplifiers. They provide me with the reference I have sought for years. You are a remarkable designer and your creations are beautiful".